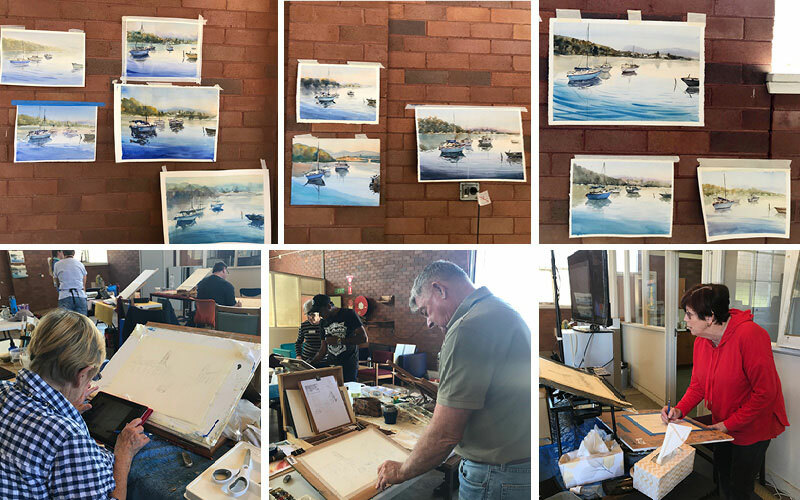 Goulburn and District Art Society Inc.
Artists from Camden and Canberra joined GDAS members in our new premises, The Art Studio, at the weekend for 2 days of watercolour tuition. 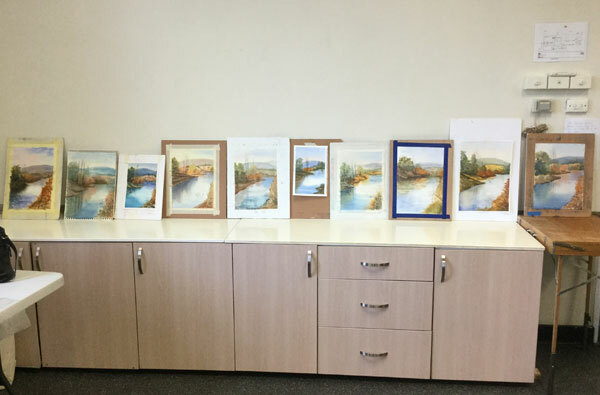 Chan Dissananyake, master watercolourist, shared lots of tips and techniques with 14 eager students who produced 2 completed paintings each day. Six our members participated ASOC Summer School this year. See more photos in2018 GDAS Newsletter. See more photos in August 2018 GDAS Newsletter. 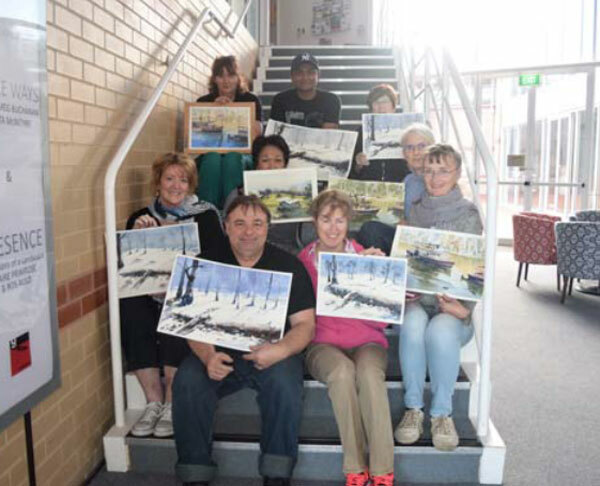 It has been reported that the workshop was very successful with Tracey taking the participants through the steps of producing a pastel art work. The photos display the success of her tutoring. 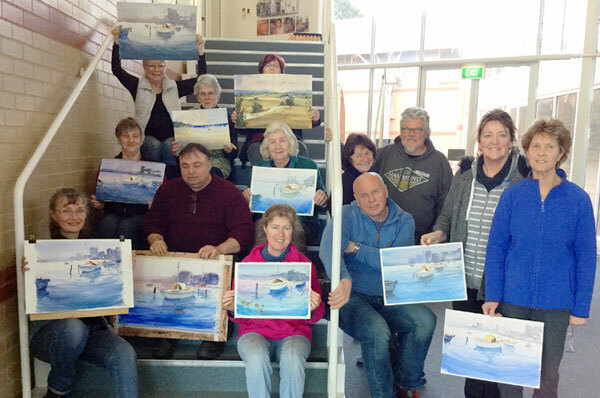 GDAS members and three guest artists from the Southern Highland welcomed the well-known Australian artist, Helen Cottle, to Goulburn on 21st and 22nd Oct to conduct the two day acrylic workshop. Eleven very privileged students were treated to two wonderful days of invaluable hints and techniques producing two very different artworks under Helen's expert instruction and guidance. Helen has a very unique style producing the most amazing works of art that are not hard to fall in love with. 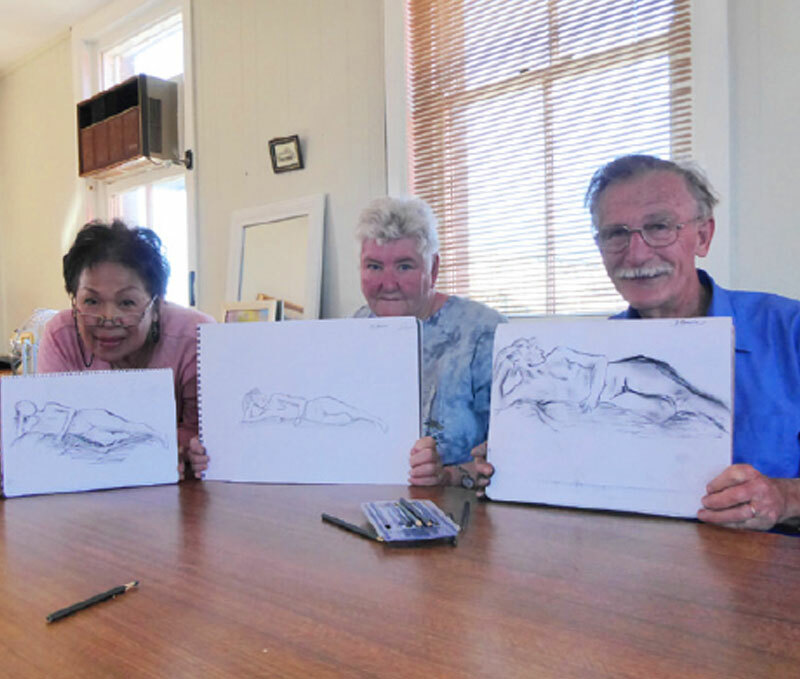 We all came away with beautiful artworks of our own and feeling very thankful that Helen was able to come to Goulburn and pass on her awesome talent. 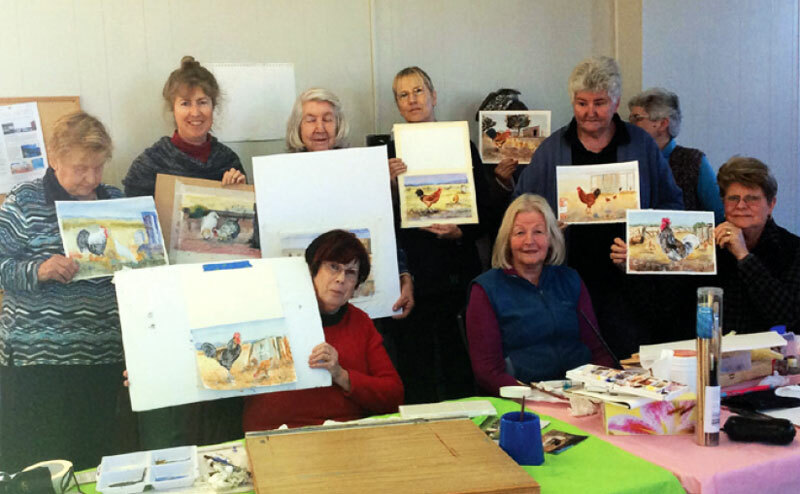 We all look forward to the next workshop with Helen. 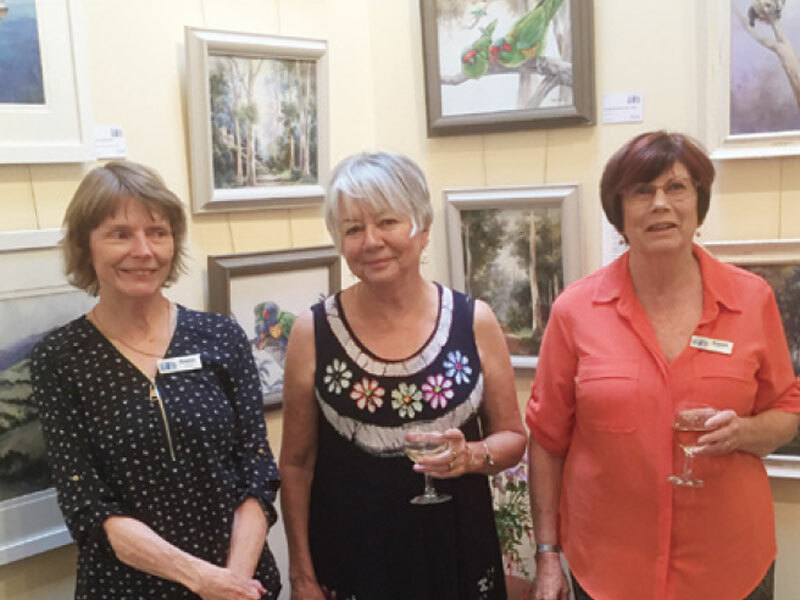 Lesley, Marion and Helen have an Exhibition at the Yarralumla Gallery in Canberra starting the 29th October to the 24th of November. It will be opened by their good friend and artist, Isla Patterson. 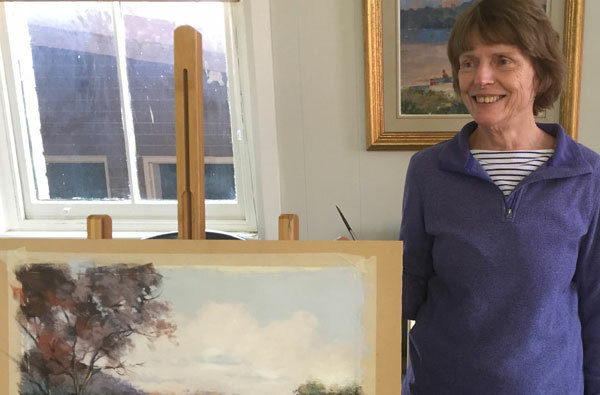 Lesley has a number of paintings in acrylic, oil and watercolour,including still life to landscape. Marion has a mixture of paintings in acrylic and oil, including Rosie the Rhino, plus some very colourful parrots. 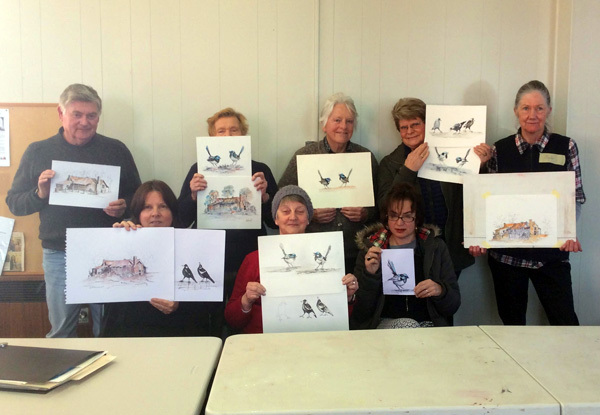 Helen is sticking to the feathers with lots of birds in watercolour. 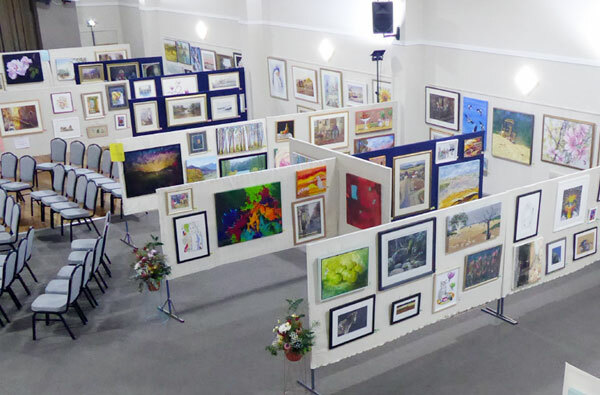 Our exhibition was bigger than ever consisting of 320 artworks. 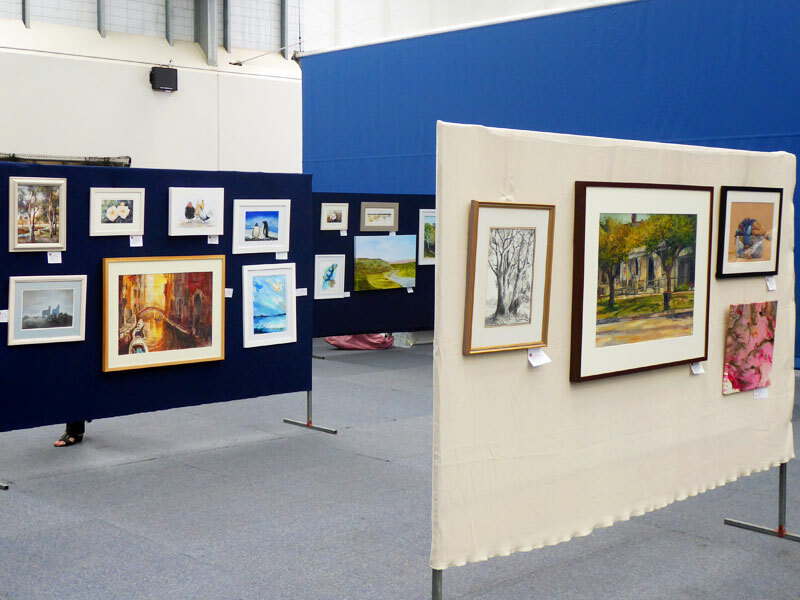 12 paintings were sold. Congratulations to the artists! 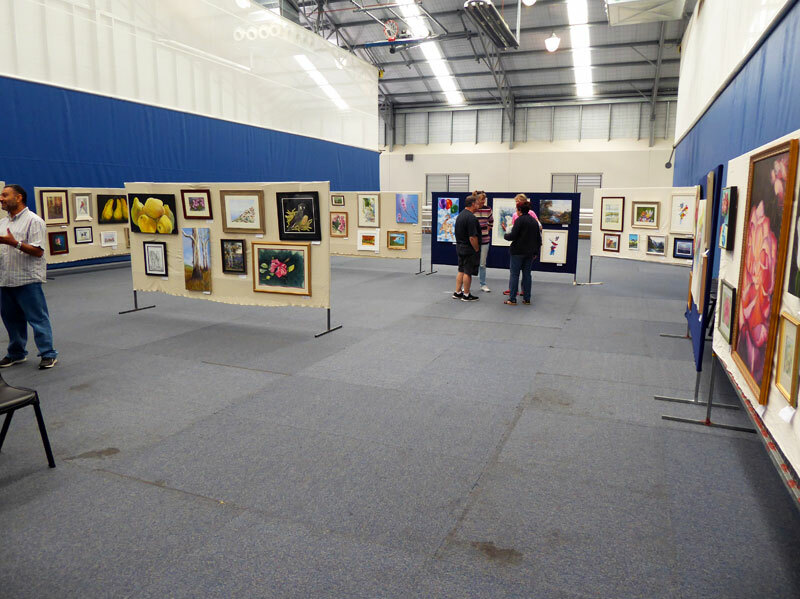 See photos from the exhibition here. 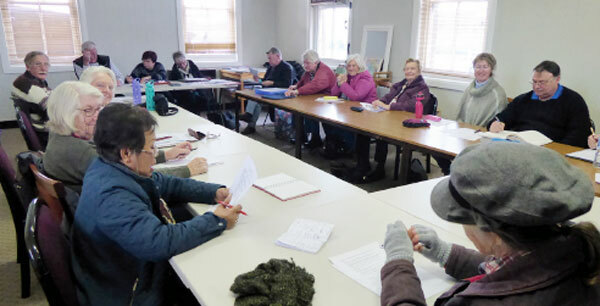 Everyone enjoyed Nell Anderson's workshop very much. She had so much knowledge to pass on to us and I found it very interesting how she does watercolour by dropping colours in to a wet wash and not mixing on the palette; this is how she gets that translucency in her paintings. 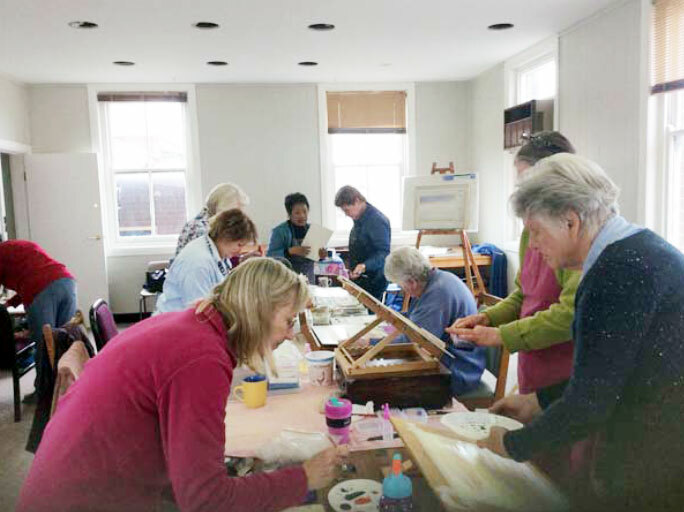 See our Newsletter/September 2017 for article on this workshop by Glenda. 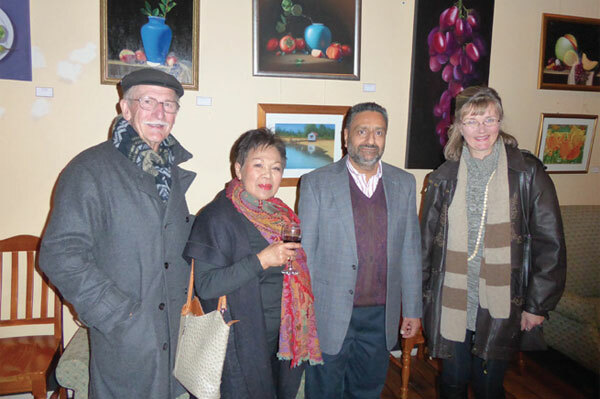 Three GDAS members attended Saggu's exhibition opening at the Goulburn Club. As expected, we were impressed with the quality of Saggu's art. 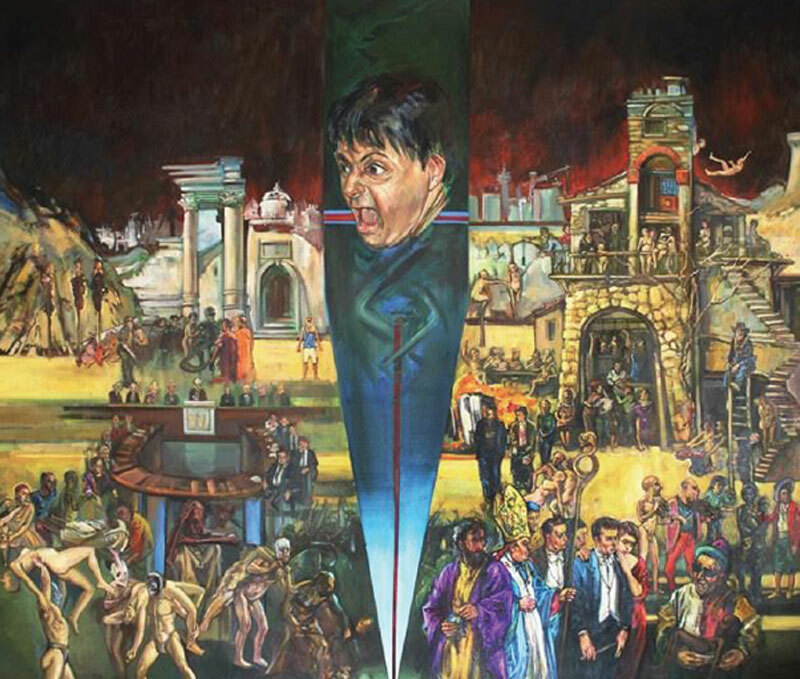 His many works with a variety of subject matter not only provided a beautiful decoration to the walls of the Club but displayed Saggu's artistic talent and high level of skills in various media. 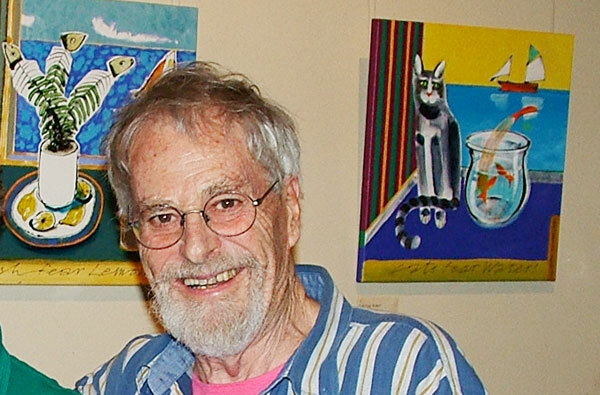 On speaking with different visitors I repeatedly heard comments in regard to the high quality of his artworks. I spent some time admiring Saggu's portraits in watercolour and acrylics. Congratulations, Saggu. 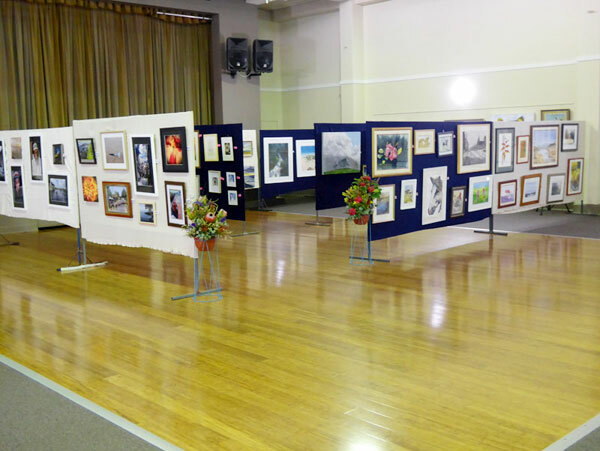 GDAS members will find it rewarding to visit the exhibition at the Goulburn Club up until Sunday, 5th November and you may also recommend it to others. 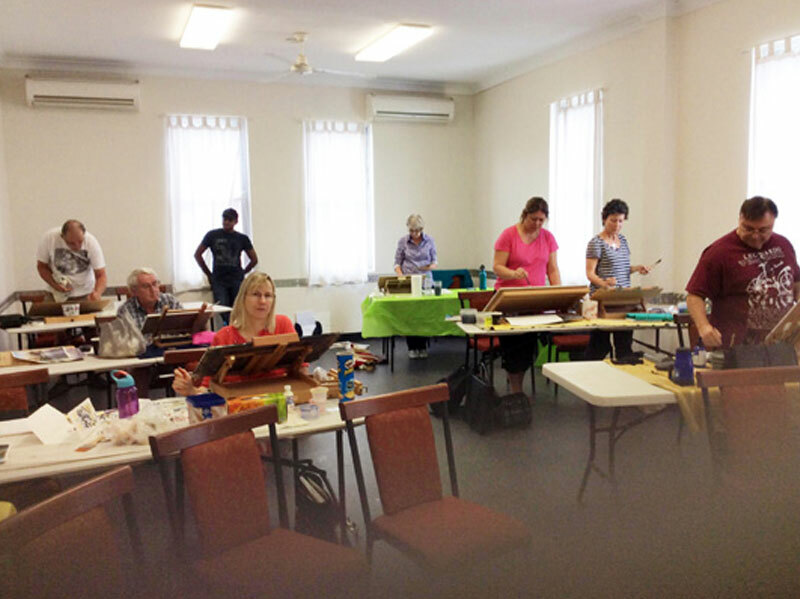 Aina's watercolour workshop was another well-attended and successful one. She had the honour of being the first to run a workshop in our new venue at the Angels for the Forgotten. Everyone felt it was a good place to have it and of course enjoyed Aina's tutelage. 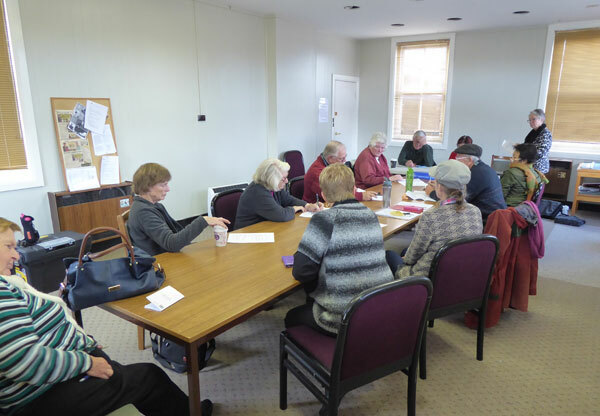 Left: Hard at work in our new room at the Angels for the Forgotten. Photo by Helen DE Jonge. Following the well attended meeting on the 11th, most of the members present were able to take part in the moving of items such as tables, chairs, bookshelves and books from the Art Shed at the Men's Shed to the other side (the right side) of the tracks and in to our room at the Angels for the Forgotten in Sloane St just to the left of the railway station. 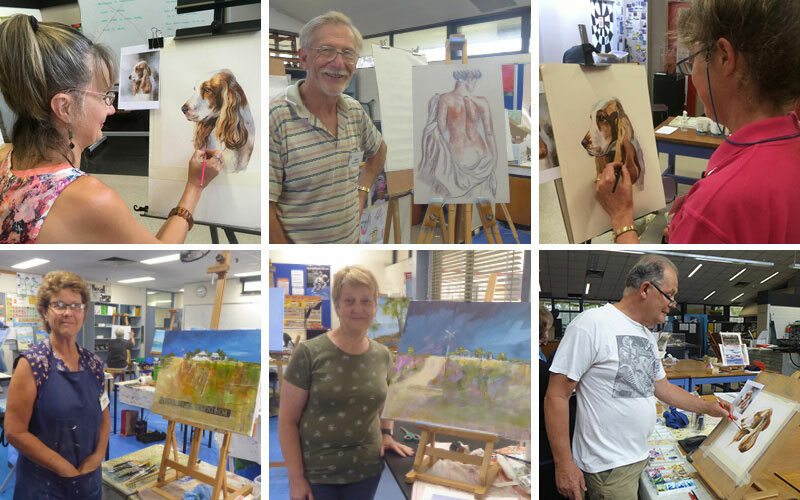 So another new stage of our art society life has commenced and it should be a good one there. 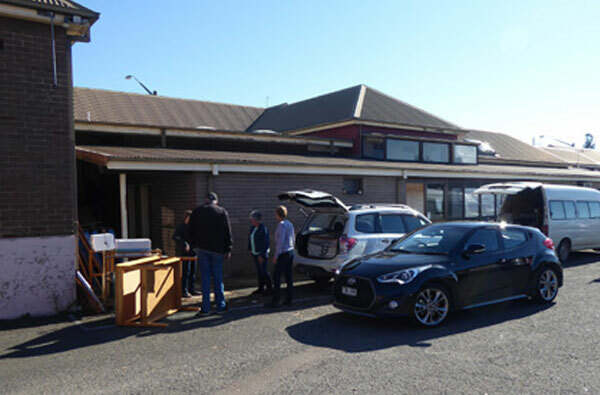 Of course we appreciate the stay that we had at the Men's Shed and the friendly contacts we made over those years and wish the Men's Shed members all the best for their future. 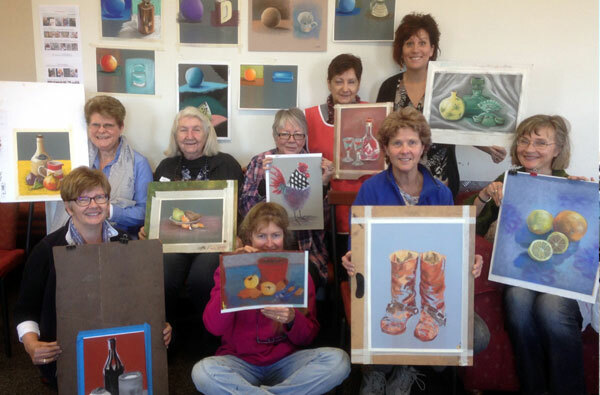 Ten artists including 6 members took part in this successful workshop. Under Chan's expert tutelage they produced 4 paintings. The first was a maritime scene with a small yacht out on a bay. The second was a landscape with a farm shed in the midground. 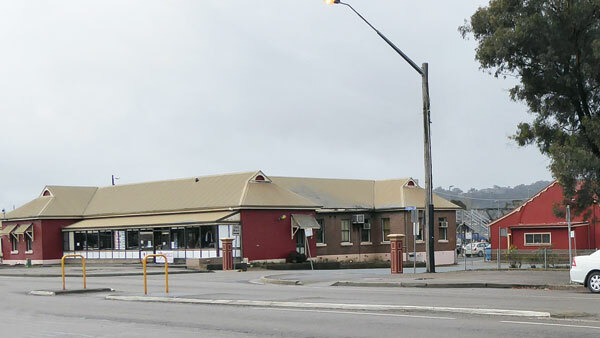 The third was a paddle steamer on the Murray River and the 4th was a snow scene. 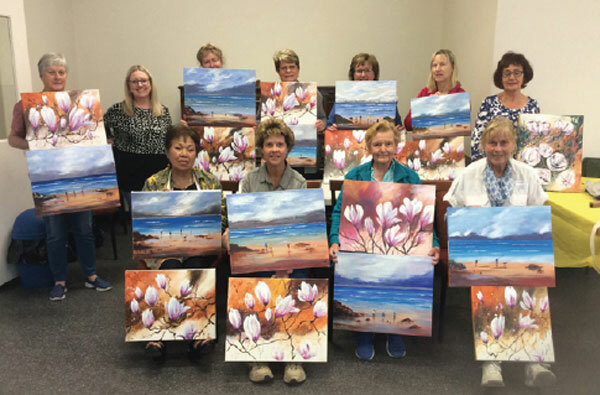 In this selection, Chan has had the participants practice a number of different painting skills and all the participants must have gained considerable benefit from the weekend's work. 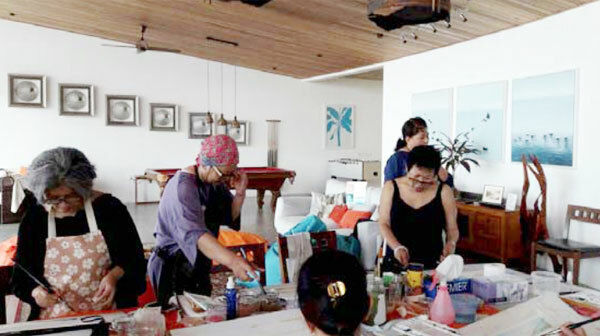 While holidaying in Malaysia with her family last year, Aina was asked to conduct an art workshop – hence she is now an international art tutor. Congratulations, Aina. 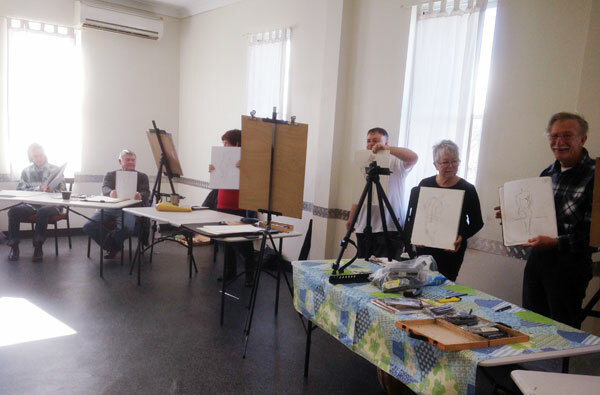 It was a very productive workshop for the participants learning some of the basics of watercolours. Some of them hadn't done any art previously but as we can see in one of the photos, some credible art was produced. They must have felt absolutely chuffed at the results of their efforts. 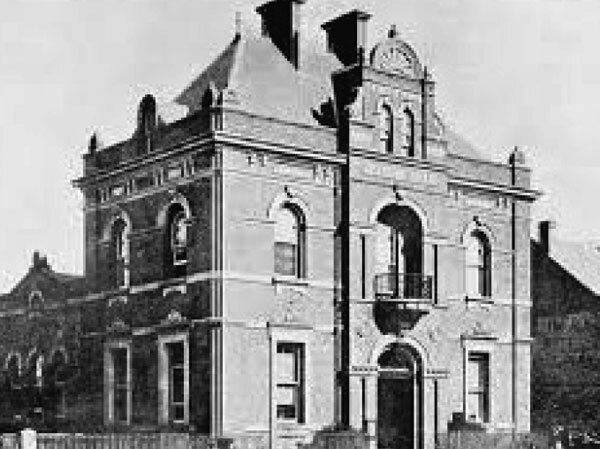 "A meeting of persons favourable to the formation of an art society in Goulburn was held at the Town Hall yesterday afternoon. The mayor presided and there were present about 20 persons. The chairman, after explaining the objects of the meeting, called on Archdeacon Bartlett to move the first resolution. Archdeacon Bartlett said he came there to see whether he could do anything in the way of a Phillistine, and he hoped they would not consider it cheek on his part as he could not paint a haystack to save his life. 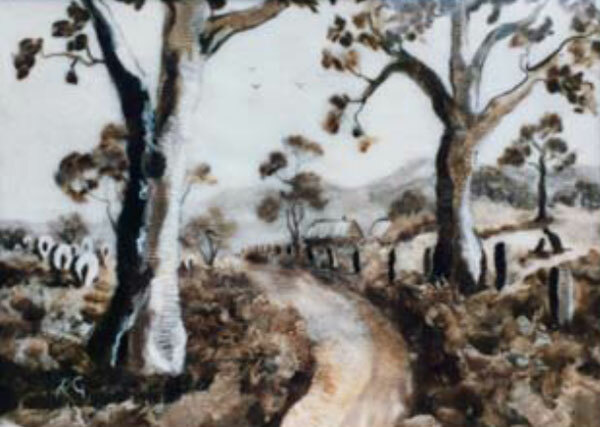 But he could tell a good picture from a bad one, and he hoped he would be excused for what he was going to say now regarding the pictures he had seen in Goulburn..."
The Goulburn & District art society has a membership of dedicated artists whose aim is to foster art in the Goulburn and surrounds. 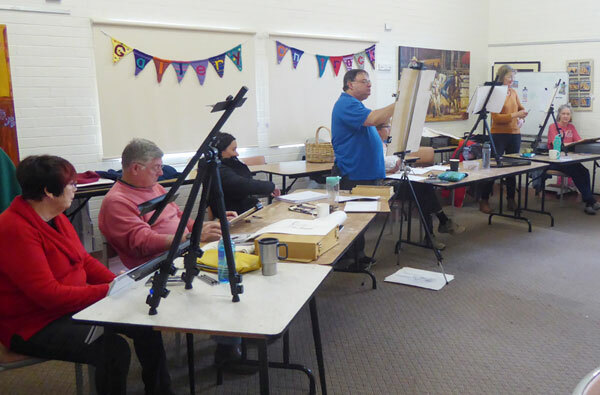 It does this through regular painting days, workshops and exhibitions thus encouraging artists in their endeavours and drawing art to the attention of the general public. 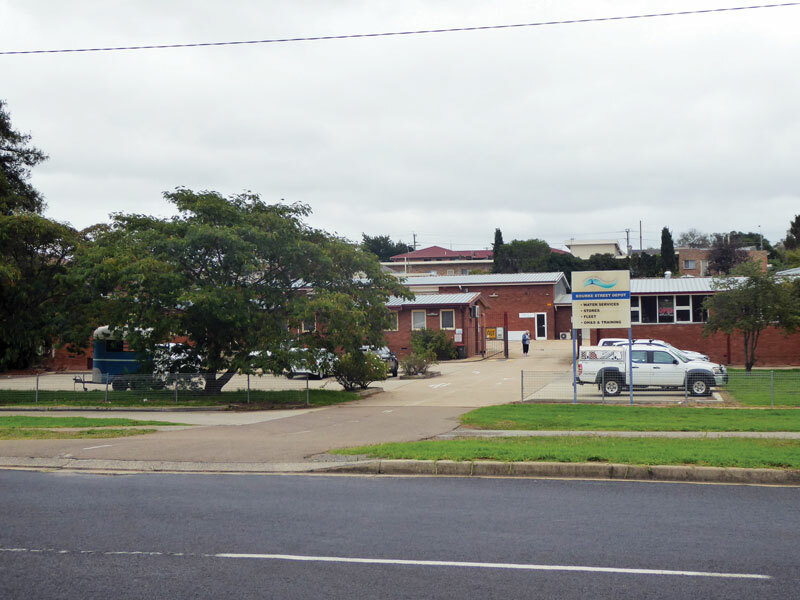 Copyright © 2017 Goulburn and District Art Society. All Rights Reserved.